THE JOURNEY DOESN'T HAVE TO BE AN ARDUOUS MEANS TO AN END AND THE BAND MAKES A CONSCIOUS EFFORT TO ENJOY THE JOURNEY THRU BRINGING FIERY, ENERGETIC, AND EMOTIONAL PERFORMANCES TO THEIR AUDIENCES.  Nick and the Ovorols kicked off 2013 in style with a new record titled Telegraph Taboo and a Gulf Coast tour with stops in Nashville, TN. They have since made this a routine. They continue to build their following playing around Chicago and since that first tour in 2013, they've been on the road every month or two. Making this coming January a 2-year milestone of steady touring for the band. Last year (2014) they supported the late great Johnny Winter at Bell's Brewery in Kalamazoo, MI, and Grammy winners Rebirth Brass Band at The Howlin' Wolf in New Orleans. Aside from critical acclaim on their 2013 indie record release, they continue to gain recognition and are slowly and consistently building their following and industry network. They realize that bringing their music to as many people as they would like requires dedication, hard work and perseverance. But the journey doesn't have to be an arduous means to an end and the band makes a conscious effort to enjoy the journey thru bringing fiery, energetic, and emotional performances to their audiences.